Applying Emu Oil on your skin regularly can efficiently moisturise dry skin as well as reduce itchiness. Due to its superior penetrating properties, Emu Oil can carry all the essential nutrients into the deeper layers of your skin, repair and hydrate your skin. Simply apply 2-4 times per day or more often if desired directly onto affected skin area. Peeling and flaky skin occurs in reaction to a number of inflammatory processes, including sunburn, dermatitis, eczema, burns, acne, cancer chemotherapy process and more. 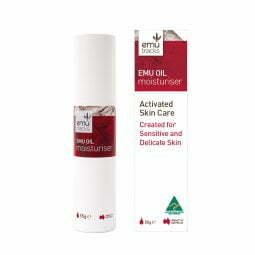 Emu Oil can sufficiently smooth and repair the affected skin area, as well as prevent any worsening development. Emu Oil can be absorbed easily because its composition closely resembles human skin’s natural chemistry. The oil’s concentration of Omega 3, 6, 7 & 9 essential fatty acids are a proven natural healing agent for all skins. 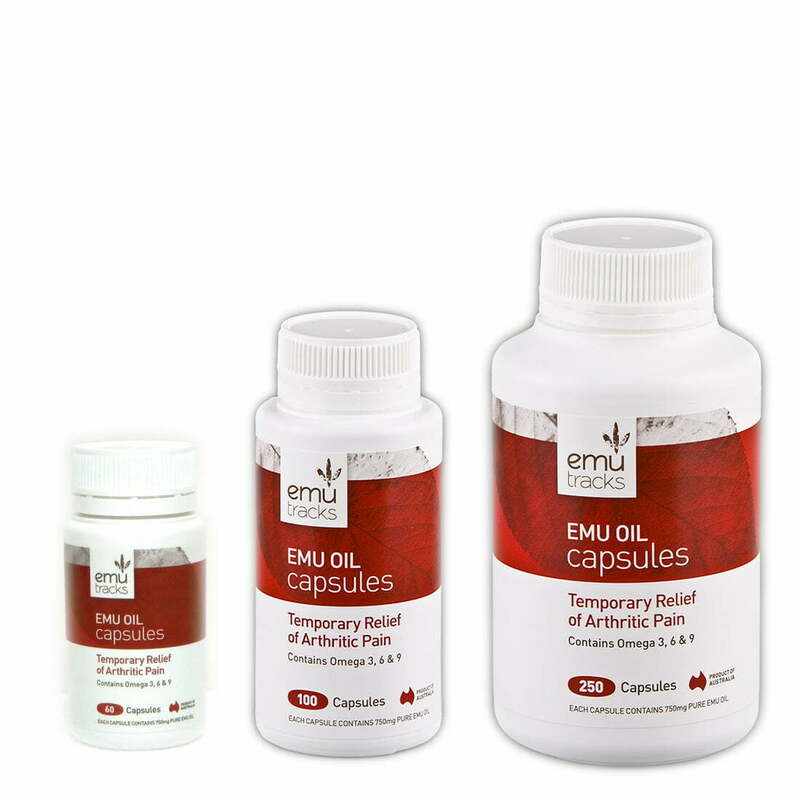 Emu Oil naturally contains anti-inflammatory properties which can reduce the pain associated with inflammation and redness. 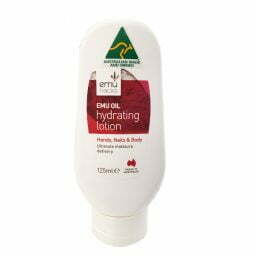 As a result, applying Emu Oil can speed up the healing process and significantly reduce the severity of affected areas. Emu Oil is a 100% natural therapeutic product for your skin. Emu Tracks Pure Emu Oil and other Emu Oil products are manufactured without any chemicals, preservatives and nasty additives. Furthermore, the hypo-allergenic nature of emu oil ensures it is also suitable for sensitive skin. Emu Oil is non-comedogenic meaning it will not clog the pores so your skin is able to breathe. A deficiency in Essential Fatty Acids can result in psoriasis, eczema, dermatitis, dandruff and many other problems. These conditions can further weaken the immune system. 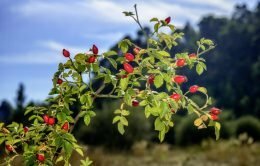 Taking 2 – 4 Emu Tracks Emu Oil Capsules per day strengthens the immune system as it naturally contains Essential Fatty Acids – Omega 3, 6, 7 and 9, as well as Vitamins A, D, E, F and K2. Emu oil contains powerful antioxidants, it is proven to promote the regeneration of skin tissues, as it increases the rate of proliferation of fibroblasts which is the main skin cells in tissue culture. Omega 3 and 6, which can be found in emu oil, are essential for maintaining healthy skin as well as repairing damaged skin cells on dark spots and scars. Psoriasis is associated with joint problems, most notably psoriatic arthritis – an inflammation of the joints. Applying Emu Oil can provide instant relief on the affected joints due to its anti-inflammatory properties and ability to deeply penetrate the skin. 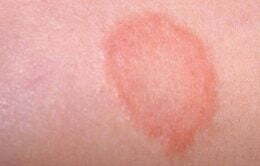 In the meanwhile, it can also reduce the appearance of skin inflammation such as bruising and redness. This makes Emu Oil ideal for psoriatic arthritis treatment. Many of whom suffer from acne may think you have to let acne run its course. However, without proper treatment, dark spots and permanent scars can appear as acne clears. Emu Oil is one of the most effective treatments for acne not only for teenagers, but also people in their 30s, 40s and above. The antioxidants in Emu Oil can help minimising the appearance of blemishes. Unlike mineral oil, Emu Oil is non-comedogenic so it won’t clog the pores, instead it allows your skin to breathe. Its anti-bacterial properties can also prevent further skin break outs.